The Maharaja Express train presents you the facets including five coaches for Deluxe Cabins, six for Junior Suites, two for Suites and one for grand Presidential Suite. All the cabins are decorated with the special marvel from its cabins to bars. All passenger Cabins, has its own temperature controlling systems, LCD televisions, all the direct dialing system,110/230V sockets and all the internet facilities and telephonic systems. Maharajas Express has been started in 2010, now the train has five pan-Indian itineraries across some of the most fascinating terrains in India. The train covers some of the most important tourist destinations across the country. The capacity of the train is 84 passengers in its deluxe cabins and presidential suites. There are two restaurants, bar with library and souvenir shop to cater the need of guests to cherish the journey. The train is equipped with state of the art amenities such as restaurant and bars, attached bathrooms, Wi-Fi internet, individual climate control, electronic safe in each cabin etc. You have five choices of itineraries including two golden trinagel tour to choose from as under. There are two consisting restaurants with 42 seats at a time, and of course the total facilities of tea, coffee or any cocktail drinks. Moreover the proper facilities of wine and bear are also available in Maharaja Express train, after the completion of the dinner. A huge collection of wines, bears and spirits are available in the bar of luxury Maharaja Express train. There are super deluxe coaches for Deluxe Cabin and the Junior Suite passengers are there for the presidential Suite Passengers and there are also the presence of the cars for each of the destination follows. From super deluxe coaches for Deluxe Cabin and Junior Suite passengers, to limousines for the Presidential Suite passengers and cars for the Suite passengers each at every destination. It is necessary for the guests to check-in before 1 hour for the departure from Mumbai, Delhi and Kolkata intended for pre-boarding formalities. The entire check-in procedure will take place at the pre assigned destination at the Mumbai, Delhi and Kolkata railway stations. In addition, the final details will be supplied to you through e-mail or other process before 14 days of proceeding departure in the travels documents and through coupons also. After finishing all the on board formalities we will provide you all the support regarding cabin assistance and luggage settlement. Scheduled your journey in final night on the Maharaja Express train, the Train Manager will aid you with disembarkation formalities which comprise luggage and approval of added supplements. Subsequent to delivery of full payment for your reservation Travel Documents that are legitimate only for the passenger(s) named, will be issued, in between 14 days prior to departure. Kindly carry your authentication of booking with you during the time of departure. Some dress code is over there during the tour for your suitability of course. We specially propose you to emphasis on the chic casual outfits as well as appropriate walking shoes for the off-train outings in the day time. Not a glow-dress during the wild-life excursions, especially emphasis on the natural colors of your choice as for the mingling with the landscape is essential. Reserved wear you can wear during the dinner time. The train aids you the perfect dress in its compulsory rituals to magnifying the diversity of imperial epoch. Warm clothing is preferable during the winter exits. We prefer you chiefly opt for the limited light luggage as the cabin of yours have the limited space to store the luggage. 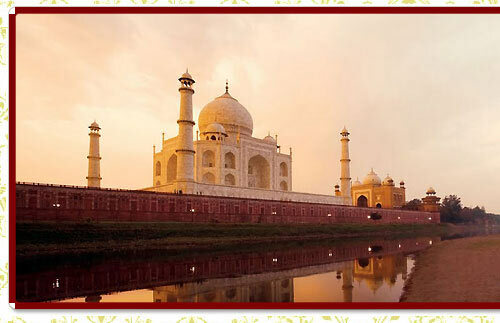 It will better for your entire tour during the trip of luxury Maharaja Express train. We advise the guest travels with luggage as per international airline's rules for first class passengers. Luggage storage space is given under the bed with the luggage clutch. Gatekeeper will be accessible during the time of embarkation and disembarkation in the place of the stations to aid you with your luggage and related stuffs. 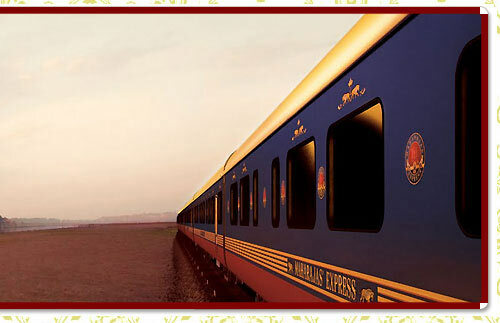 Butlers are present in the luxury Maharaja Express train who dedicatedly serve you according to your needs and demands. You can find out the individual butler in every single carriage who will keep on supporting you all the 24 hours at your call. Each of them serve your demanded drinks helps you to make your trip more pleasurable and enthusiastic. We really feel disappointed by thing that we have in our board no special arrangement for the wheelchair delimited passengers as our complete interior magnitude are for the normal going passengers. But for your assistance if you face any difficulties we will provide you the quick treatment for your safety purposes. Kindly put down the basic requirements if you need during the time of booking. Electrical energy is accessible on the luxury Maharaja Express train in the volts of 110 volts including the international adopters. During the off train excursions it's our request to you, please bring the relaxed reliable shoes as you have to walk around a long distance during the time of walking. Because reason is that you have to walk around the sidewalks and in the road. Travellers if have any walking obscurity should notify us at the time of booking because for the right precision of your, can face the problem during the time of excursions. During the time of physical damage if any one like to quite the voyage we will help the tourist immediately but in these particular state of affairs there would be no refund for any unused part of the tour. We provide you the appropriate English speaking guides of yours according to your needs. All our guides are professionals and aid you the proper knowledge during the voyage. Language speaking guides can be making available to you as per your selections but it will pay extra cost to you. Kindly make us inform if you have any extra prerequisite at the time of booking. The majority of the excursions happens in the off the luxury Maharaja Express train comprises a coach relocate for Deluxe Cabin & Junior Suite passengers and cars for Suite & Presidential Suite passengers. Nevertheless, for some definite excursions we specially prefer jeeps. Kindly submit the needs of yours in the itinerary for any precise information. Following the agreement with Indian Law, smoking is not allowed during the on board journey on the train. For your better information Smoking is also banned in all public places such as restaurants, stations, shopping malls, airports hotels or any public places etc. We have the complete facilities on board if any passenger of us needs the medical aid during the trip. Some degrees of laundry services are available on the board at some chosen destinations. Please contact your coach butler for the further information regarding this. There is a swift speed Internet access is available on board for your surfing. For the further details Please contact the Train Manager. Please keep your Cell Phone on silent mode during the on board journey on the train for other member passengers next to you. It will also take for granted for the time of visiting to some monuments during the Off Train Excursions. Please also note that the use of cell phones and laptop computers is dejected in the public locale in addition this should be maintained your privacy of your cabin. The reception is capable of diverge the cell phone while the train is on the stir, other than does look up at what time the train is immobile or near the foremost streets. There are the proper facilities of Telephones in all the cabins. But the additional cost will have to pay for the extra calls of yours beyond limitations. 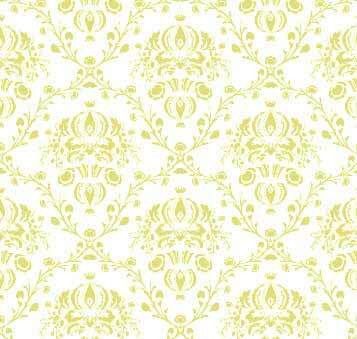 The cost is supplementary not take account of in the journey payment. All the cabins are operational with the perfect electronic protections. at the same time as every safety measure is in use, we cannot be detained legally responsible for loss of valuables. All the crew members in the Maharaja Express are excellent in their hospitality and management as they are all have the prominent experience in the hospitality and surely generate your basic needs and demands. And there is also the point that all our crew members have the affluent capacity to speak in English. In our total journey trip there are the minimum numbers of passengers to regulate the journey. If we are not following your demands and doses not provide you the suitable place on the train we will tender you an alternating departure date or you can get the money back but of course there must be a 30 days advance indication you have to project. If there will be some special events or any additional programs or some special guest lecture all the proper updating will be there on the website of available on our website www.rirtl.com in due course.